Click the button below to add the Mutoh Drafstation Print Head Assy to your wish list. 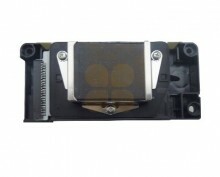 This original Mutoh print head is suitable for Mutoh Drafstation printers. This is the original Mutoh printhead with Mutoh head ID. We recommend replacing the head data cables together with the print head to avoid any problem.